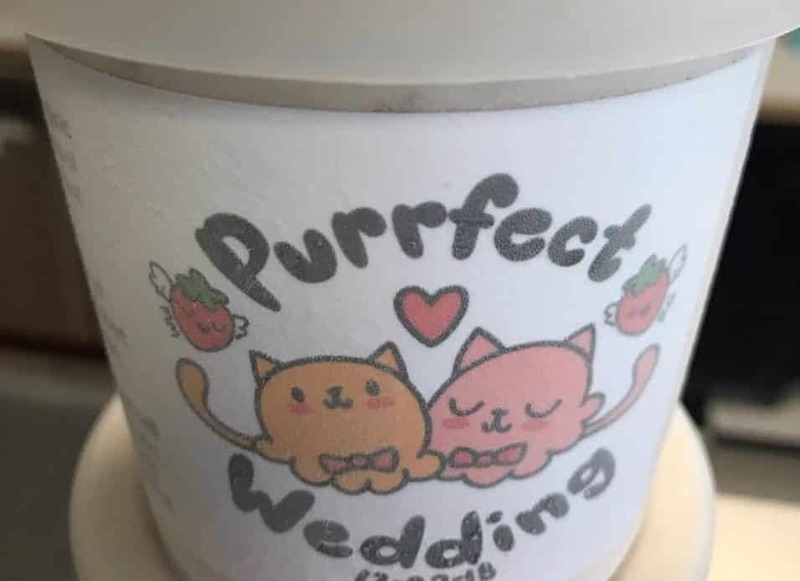 Purrfect Wedding ice cream was created by Long Beach Creamery in honor of the mayor's wedding. 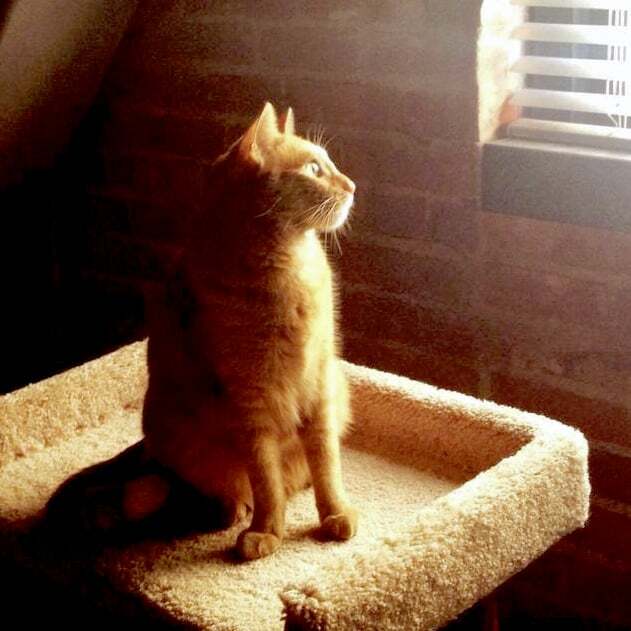 Photo by Kate Karp. Tommy Garcia-Mendez will likely not attend the wedding of his parents—Long Beach Mayor Robert Garcia and his fiancé, Matthew Mendez. Tommy, however, was the inspiration for a just dessert that will be served at their wedding on Dec. 22. It’s called Purrfect Wedding, an ice cream crafted by Long Beach Creamery—it’s a fitting name for a treat inspired by a fine orange tabby cat. 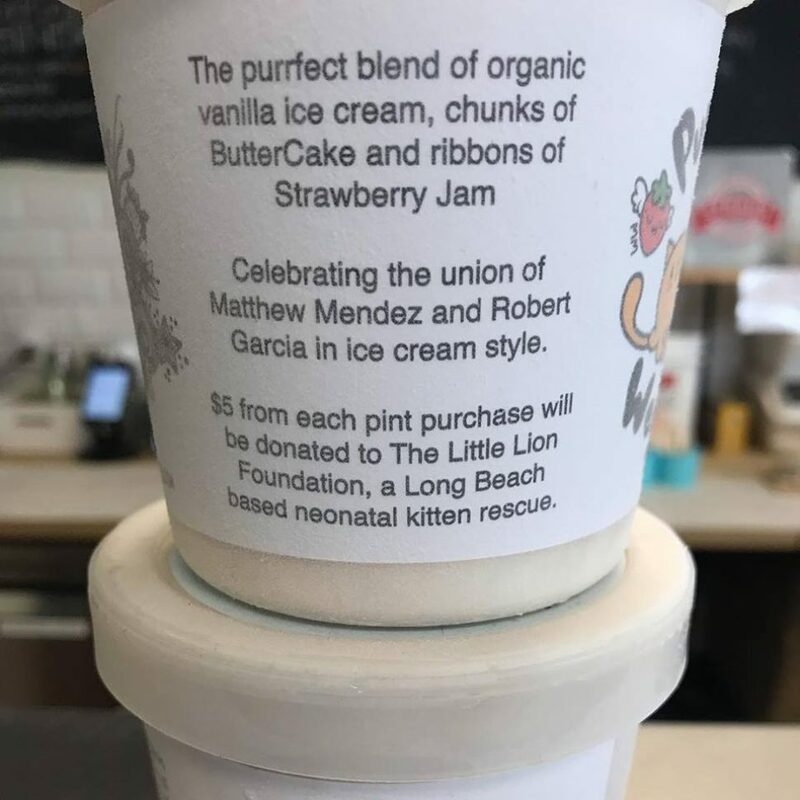 In Tommy’s name, $5 from the purchase of each pint will go toward The Little Lion Foundation, a local nonprofit whose focus is pulling orphaned newborn kittens from shelters, providing neonatal and medical care for them, finding loving homes, and educating the public about how they can do the same. His nibs: Tommy Garcia-Mendez. Photo courtesy of Tim Patton. “Dina” is Dina Amadril, Long Beach Creamery’s creator, owner and formidable ice-creamist. Amadril is familiar with Little Lion’s work, and she herself welcomes visits from her neighbors’ cats. She and her label designer, KD Maleki, whipped up the feline-inspired treat and its packaging after sitting down with Garcia and Mendez to conceptualize the special sweet. 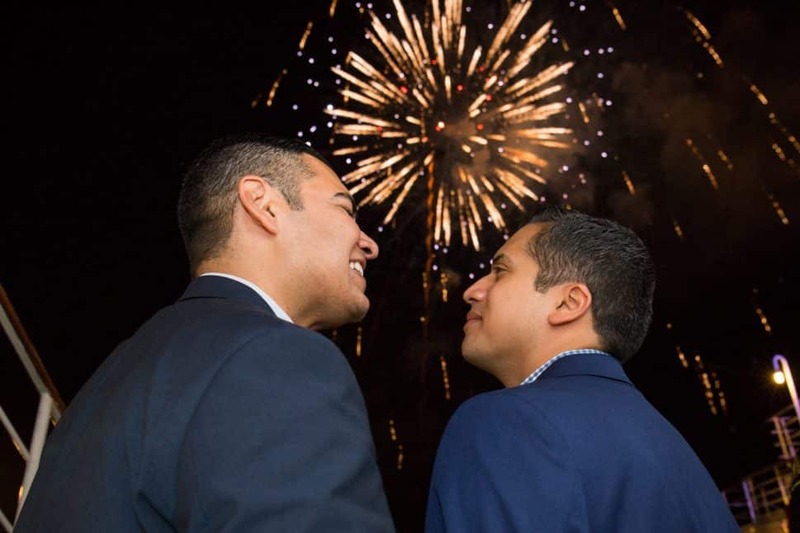 Mayor Robert Garcia and Matt Mendez got engaged last summer. Courtesy photo. Mendez and Garcia have a thing for ice creams that have a little cake in them. When Amadril mentioned the idea of butter-cake ice cream with strawberries in it, there was an audible “ooh!” Amadril, more or less figuratively speaking, put the icing on the cake by blending in mascarpone cheese and roasting the berries into a jam and putting that in there, too. “It’s like a strawberry shortcake, but the butter cake is made with cream cheese and the mascarpone is in the base,” Amadril said. “There’s a lot of cheese in that baby!” Be still, your beating hearts. And loosen your belts. Getting one taste of ice cream—particularly ice cream this good—for an article throws all objectivity to the wind. I wanted to throw the tasting knife to the wind, hurl myself into the display case, and attack the container with a large spoon. Purrfect Wedding needs no crumbled walnuts, no syrup, nothing. If you believe, as is printed on novelty kitchen towels and magnets, that cat hair is a condiment, you’ll have to provide your own at home. I bought several pints and shared them with the neighbors. Little Lion founder Claudia Marie was awestruck over the choice of her organization for the couple’s benevolence. Perfect Wedding will be sold throughout December in both scoops and pints at both Long Beach Creamery locations: 4141 Long Beach Blvd. and 222 East Broadway Ave., both in Long Beach. Each pint is $11.75, $5 of which will go help those little neonatal kittens.